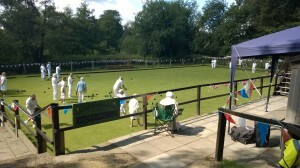 Our friendly Bowls Club is situated in a unique position down by the River Mole, off Mill Hill Lane (south). 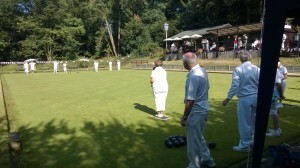 The outdoor season runs from April to September, and there are also various social events throughout the year. We play matches most Saturdays, Sundays and midweek against other local teams such as Dorking and Redhill and also as far away as Handcross and Billingshurst. Bowls is a fun yet competitive game for all ages, gender and ability, why not come along and meet members of the Club on a Thursday evening or the above Saturday taster sessions without any obligation. See brockhambowlsclub.co.uk for more information or contact Ian Clinging (Club Captain) on 01737 843219 or Margaret Avasia (Ladies Captain) 01737 844922.